On The Trail Of Language With "The Word Detective"
John Simpson shares his love of words. "What's that word?" If there were ever a person to ask that of, it's John Simpson. 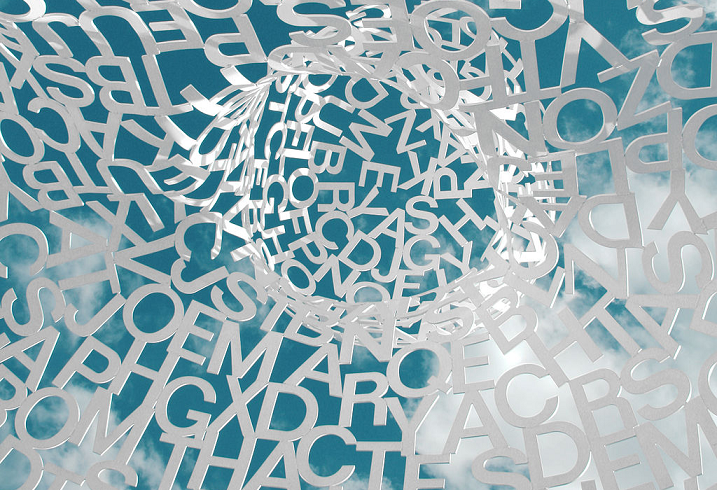 Word sculpture in Zaragoza, Spain. He spent half a lifetime as the senior editor of the final word in words, the Oxford English Dictionary (OED). In his book The Word Detective, he shares stories of how words come into the language, change in use, and even depart. John Simpson joins us, no doubt using many interesting words. Josh Katz gives us a U.S. tour... in language. Maybe you've visited one of those web quiz pages that asks you about some word choices, then tells you--often accurately--where you're from. The quiz works because people DO use different phrases and idioms in different parts of the country. A "hero" sandwich in New York is a "grinder" in nearby Connecticut. Josh Katz focuses on the regional variations in his book "Speaking American: How Y’all, Youse, and You Guys Talk: A Visual Guide." John McWhorter has a way with words. We've been tasked with interviewing John McWhorter. It's not that big an ask, and he literally will not be here in person. Do those first two sentences remind you of how CONSTANTLY our language changes? And that we're not always happy about the changes? That's what John McWhorter writes about, in his book Words on the Move: Why English Won't--and Can't--Sit Still (Like, Literally). He points out the ways in which English is already different from what previous generations spoke. Sam Leith indulges his love for rhetoric. Tired of the rhetoric in this year's political campaigns? There's a lot more of it coming, and some of it might be uplifting. If you take that optimistic viewpoint, you'll likely have company in British writer and editor Sam Leith. He views the high and low points of the history of persuasive speech in his book Words Like Loaded Pistols. From Cicero to Simpson (Homer), it's a rich history.